Small group ride down PCH to Malibu and back. 45 miles, 16+ mph avg, foggy start, mid 79s sunny finish. Good day on the bike. Neptune's Net break. 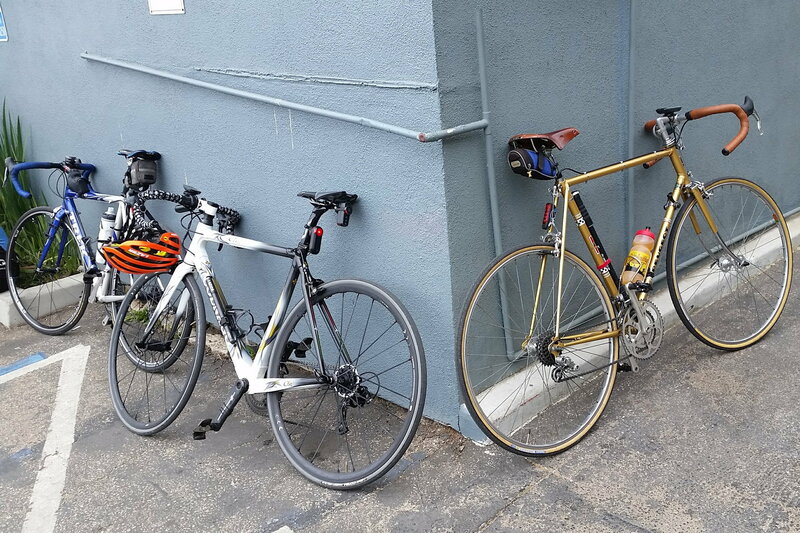 Something for everyone, Aluminum Trek, Carbon Colnago, my steel '78 PR10. 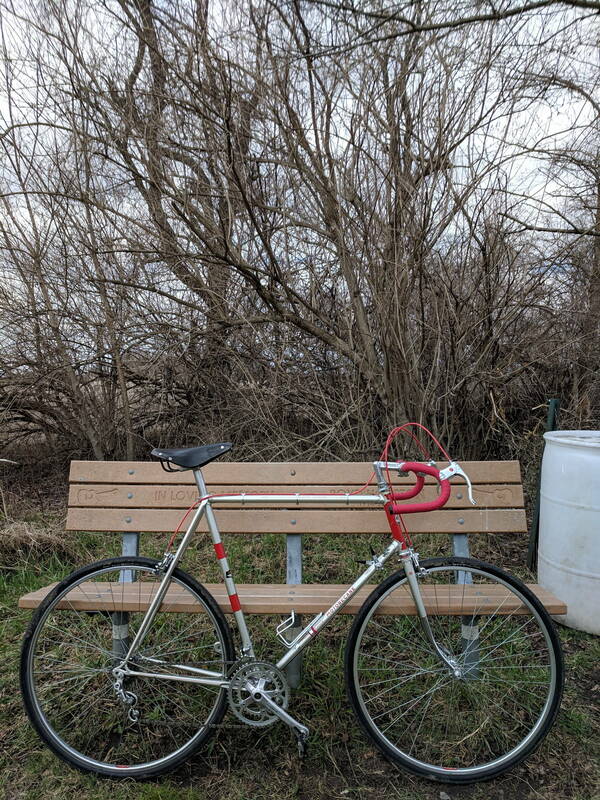 First ride on my Christmas present project 1976 Motobecane Grand Jubile. As usual, I have a few little things to work on like getting a proper French crankset on there and maybe some different rear shift housing, but overall I'm very impressed. The Huret Jubile drivetrain is shockingly quiet! Takes quite a bit more lever throw to make a shift, but that will come along with more rides. I love the red, but I feel like I've seen a lot of gray/silver housing in the rear - in contrast to the others. FWIW it looks good to me. Were you thinking of metal housing back there? Red? I used the metal housing simply because it was available and felt suitable considering the age of the bike, but I feel like there is a bit too much flex in the housing. It seems like the first 1/4 of the shift lever range is used up simply compressing the housing. It works fine once there is suitable tension on the cable, but just feels a little weird. Whenever I have the chance to put something different I'll make it match the rest of the cabling. I also have a feeling that I will need to take the RD off, so that I can clean and grease it. The FD was sticky to the point of being unusable, so I did do a little work on that before I was able to ride, but I'm thinking that maybe the RD needs the same type of spa treatment. I feel like there is a bit too much flex in the housing. It seems like the first 1/4 of the shift lever range is used up simply compressing the housing. It works fine once there is suitable tension on the cable, but just feels a little weird. Whenever I have the chance to put something different I'll make it match the rest of the cabling. Sounds like that would be a win for both aesthetics and function! Love the red as well. Nice looking bike! 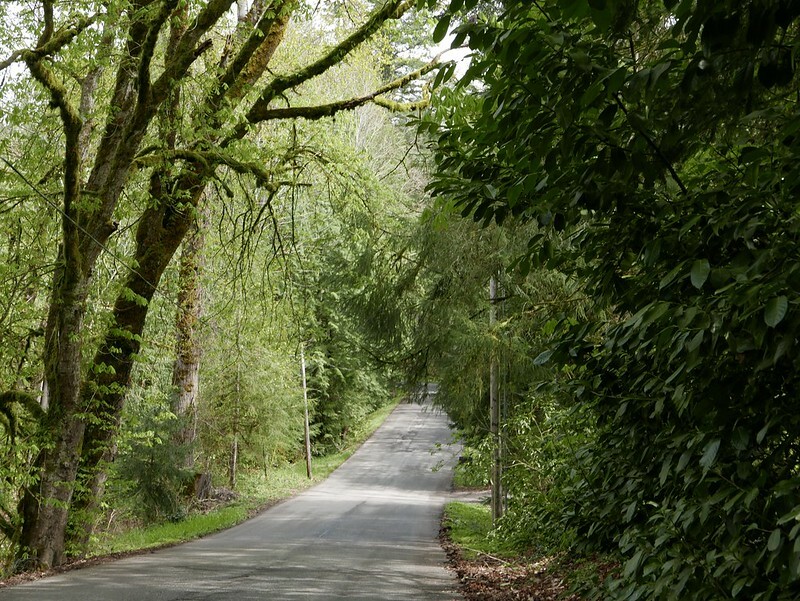 I descend back into town then ride out Tokul Road taking this small loop along the way as an interesting diversion. 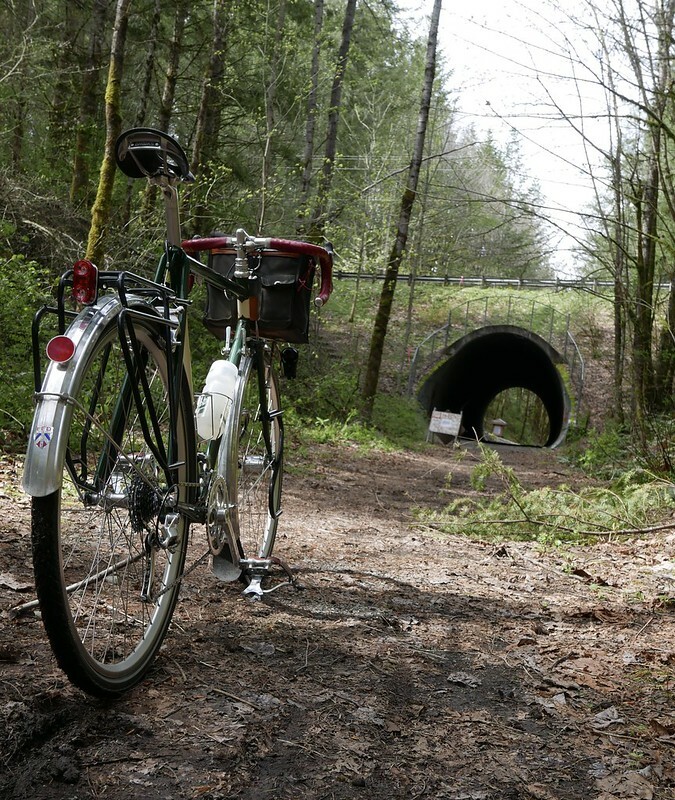 Accessing the Snoqualmie Valley Trail at the Tokul Tunnel. 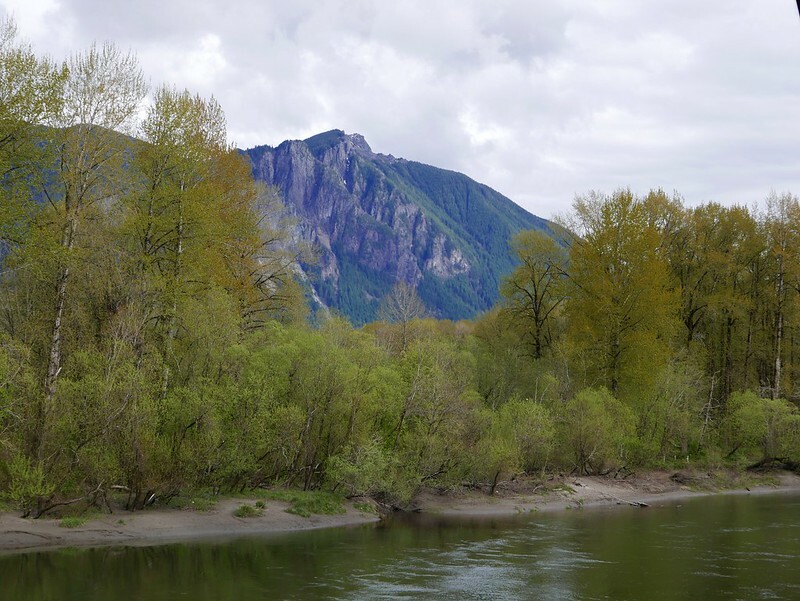 I drop down off the trail into Fall City and take the River Road to Carnation, stopping along the way at Jubilee Farm. Eating lunch and listening to the cows who were unusually animated today. Must be spring fever. 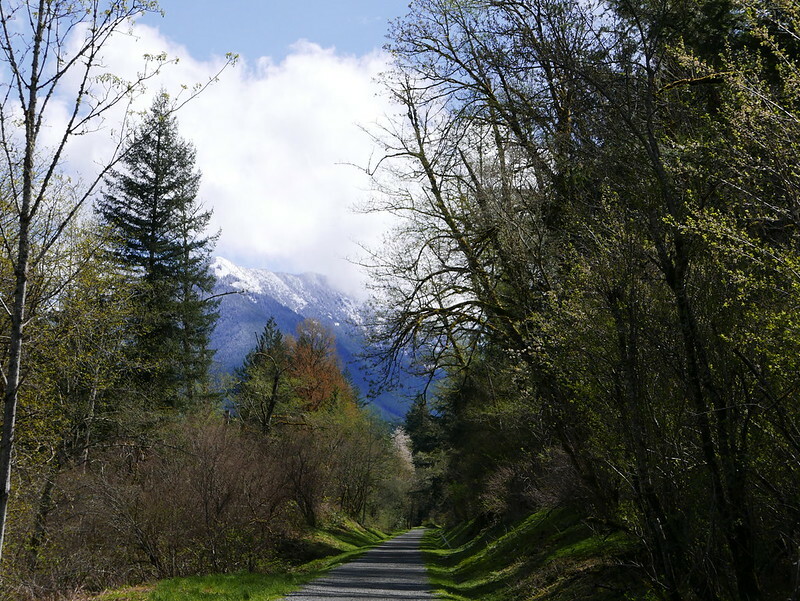 I got back on the Snoqualmie Valley Trail in Carnation and rode back into the upper valley. 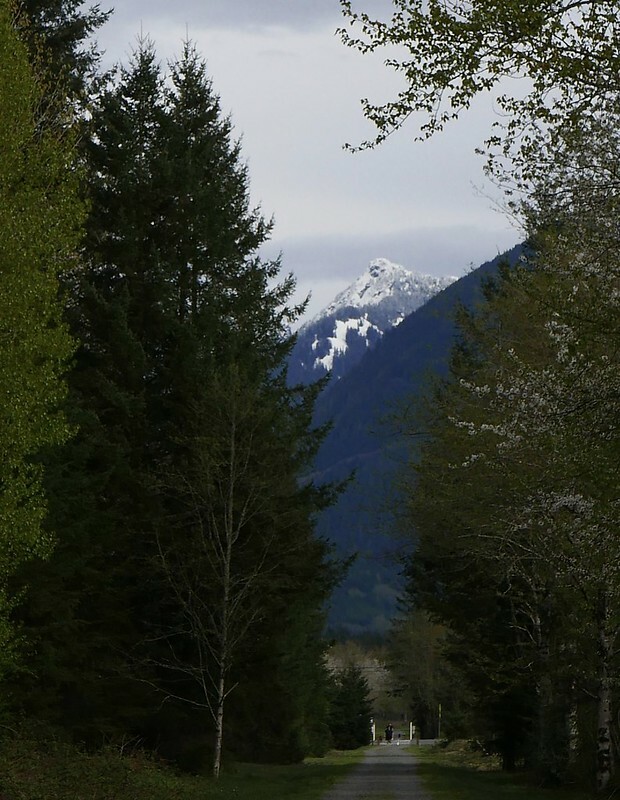 This is Mt Si which dominates the upper valley. I love living here and never get tired of the view of this mountain. 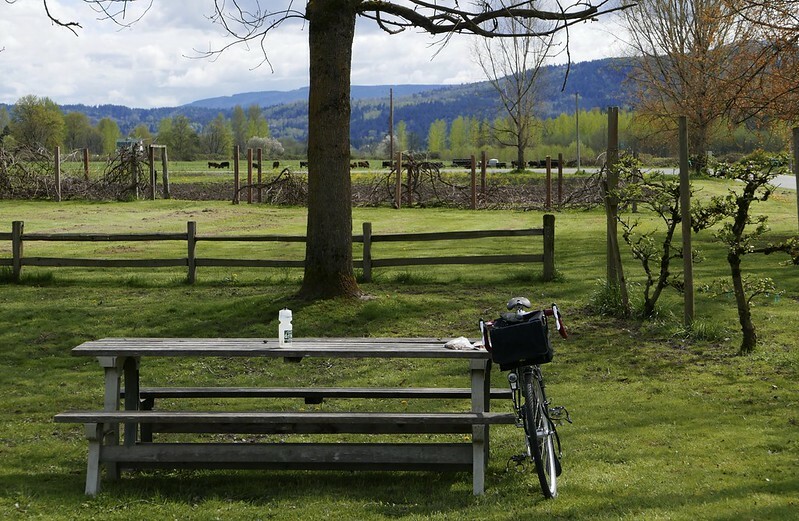 In all, it was maybe 50 miles of very peaceful riding today. 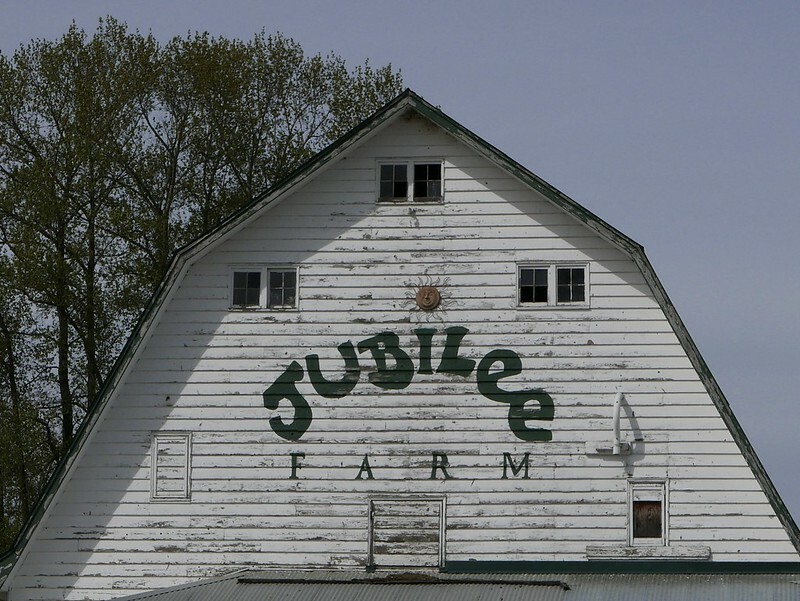 Home is just a mile away from this point here. 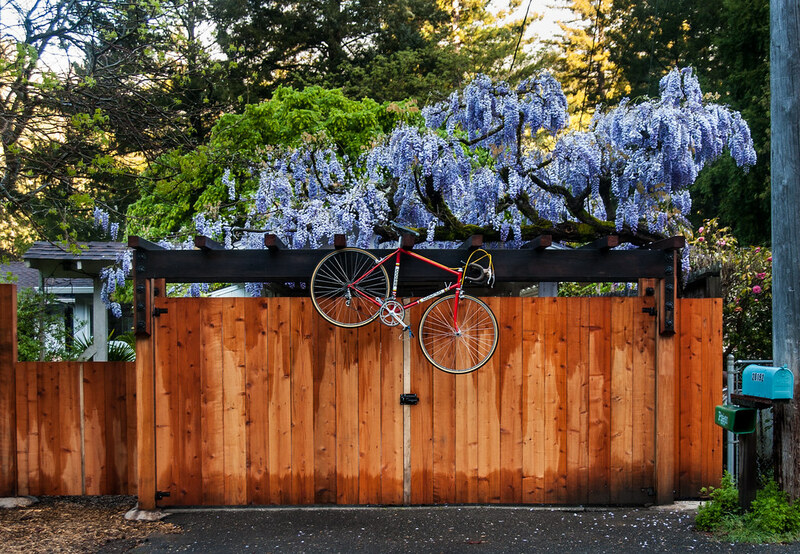 Pre ride with our wisteria having a great Spring.